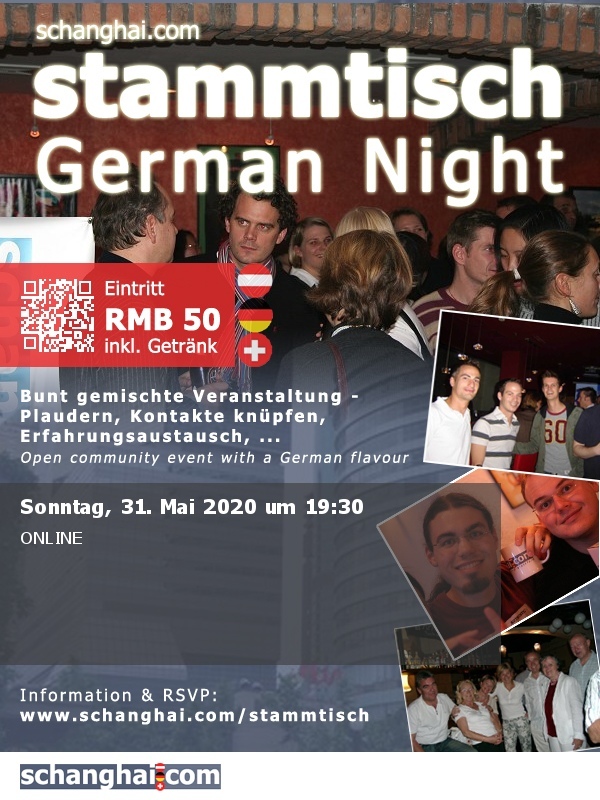 All year round, schanghai.com's monthly Stammtisch (German Night) is a popular networking and socializing event with a German flavour. Meet and greet expats from Germany, Austria, Switzerland and other countries of the world. Special beer and finger food deals for the night. Free admission, English speakers welcome too!